We made it to Germany! Wahoo! 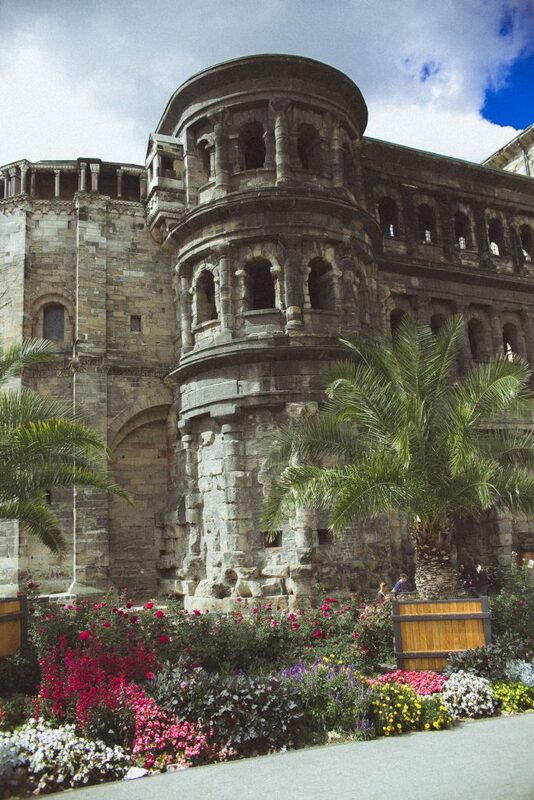 This past weekend we decided to escape the hotel room and visit the oldest city in Germany, Trier. 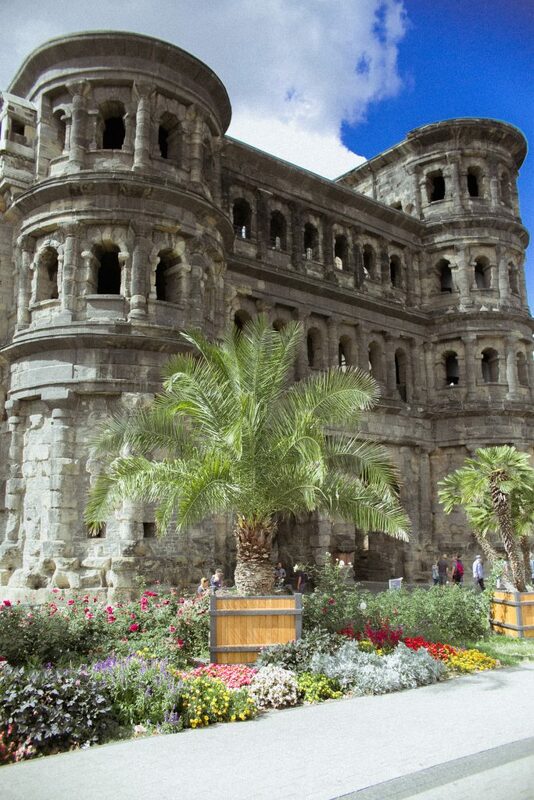 One of the main attractions to the city is the large Roman gate that’s still standing. Porta Negra was built in 179 AD using only gravity and iron clamps. Upon hearing it was mainly gravity holding it together and upright, Juliette initially refused to walk through. Only after observing her father and several others walk through did she hesitantly agree. The gate has an interesting history. It was built by the Romans as part of their extensive walling of the city and controlling passage through the city and country beyond. In the 11th century it became a church and was named after a hermit who lived, and died, in the ruins of the gate. The hermit the church was named after was later sainted, Saint Simeon. Napoleon almost destroyed the gate but, local legend has it, he was swayed by the townspeople to keep it erect. However, he ordered it to be returned to its original form, back to a gate and not a church. We see it today much how Napoleon saw it – blackened with dirt (and now exhaust) but standing tall as an architectural feat. The family, with Juliette :), crossed through the Porta Negra and entered a series of walking streets, or walkplatz. This part of the city is well preserved, a bit touristy, and not lacking on things to see. Down the walking street are two old churches side by side. Maybe that’s not so unique in Europe? Aside from their nearness, they could’ve been one church that’s how close they were, was the architectural differences. One was a heavy cathedral built in what we call the Romanesque style and the next door neighbor was full up gothic style. I tried pointing out the differences to the girls but they were too intent on exploring. 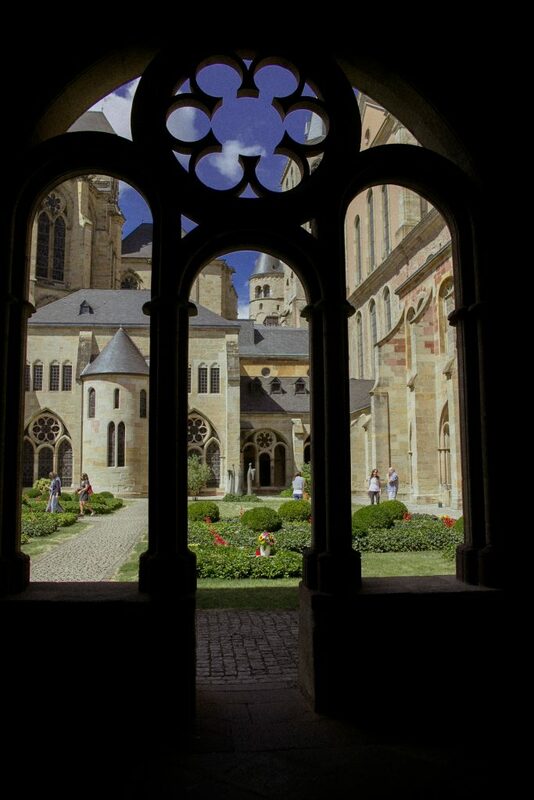 The Romanesque church began through a gift by Emperor Constantine’s mother, Helena. She gifted her house to the bishop for his residence and church. It grew from there. Helena is also said to have brought the Holy Robe, the cloak Jesus wore before being place on the cross, to the church. You can’t see the robe or even enter the chapel that contains it. The garment wasn’t well preserved for most of the 1800s so viewing it at all is not possible. However, one day a year pilgrims are allowed to enter the chapel and pray. Interesting. 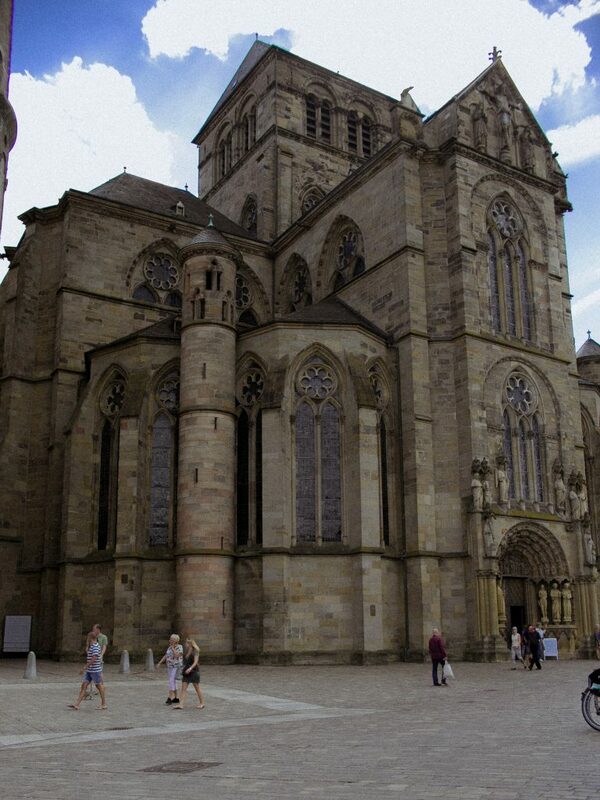 There are lots of other things to do on a family day trip to Trier, we decided to end with the churches, however. I’d rather leave early and happy than carry crying, screaming, overtired littles down the street and to the car. With Trier only being an hour-is away, I’m sure we’ll be back.